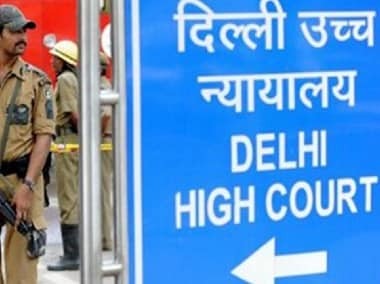 New Delhi: The Delhi High Court has agreed to examine the constitutional validity of a law that was enacted following the outcry over the December 2012 gangrape case and provides that no prior sanction is required to try public servants in sexual offence cases. A bench headed by Acting Chief Justice Gita Mittal said that independent assistance was required as Delhi Police was also supporting the petition seeking striking down of the explanation to section 197 (sanction to prosecute public servant) of the Code of Criminal Procedure (CrPC) as "ultra vires, invalid and illegal". The 2013 amendment to section 197 of the CrPC provides that no prior sanction is needed to prosecute a public servant in cases of alleged sexual offences against girls and women. Perusing the reply filed by Delhi Police in the matter, the bench said, "In view of the stand of Delhi Police, we are of the view that an independent assistance is necessary in the issue. Therefore we appoint an amicus curiae (friend of court) to assist us." The court has now fixed the matter for further hearing on 1 August. Delhi Police has said that the amendment would allow wrong-doers to make false allegations against policemen, hindering their ability to do their job. It has contended that the change in the CrPC "is an impediment to free and fair investigation and for discharging official duties" and was "open to gross misuse in the absence of any safeguards". The police was responding to the PIL filed by a serving police official, who has challenged the amended provision in the CrPC. Inspector Anil Sharma, in his plea, sought quashing of the amendment, saying "The explanation is liable to be quashed since it defeats the purpose and object of Section 197 CrPC and is in complete violation and against the scheme and spirit of CrPC, 1973 and the Constitution of India." The plea, filed through advocate Rajiv Mohan, further stated that the explanation is "harsh and unfair" for the police officers who are discharging their duty.